View More In Board Games. The world's best board games, spruced up for the 21st century. 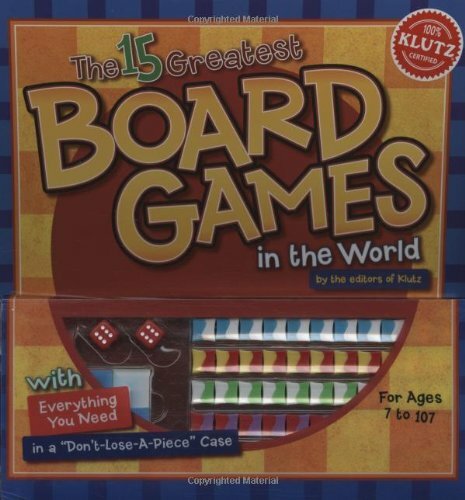 The 15 Greatest Board Games in the World features a varied selection of games to play on 15 different game boards, along with crystal-clear directions for play. The games themselves range from the familiar (Checkers) to the exotic (Tigers & Goats, the national game of Nepal) and from the modern (the award-winning Corsaro) to the ancient (the 4,500-year-old Royal Game of UR). Each has been extensively play-tested by kids and Klutzniks alike; it was tough, but someone had to do.